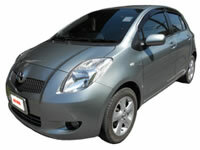 Krabi Car Hire - Krabi Car Rental - Hire your car with us and enjoy your holiday more. Krabi Car Hire - Enjoy Your Freedom! Our travel agency has been operating in Krabi town since 1999, so our knowledge of the area is second to none. We offer excellent service and friendly advice.